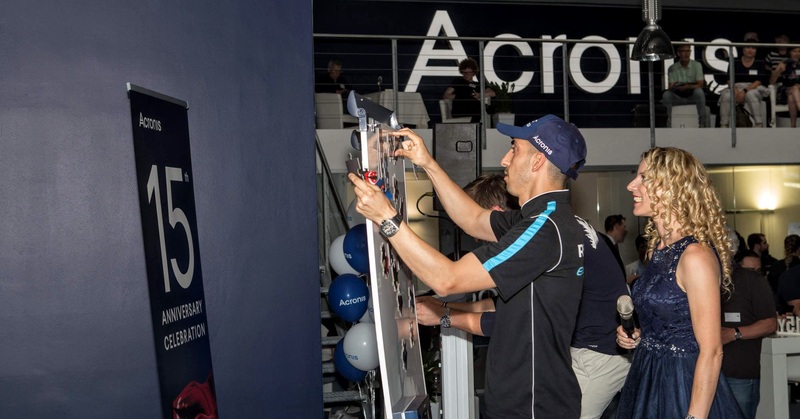 Sébastien Buemi from Formula E Renault e.dams team joined Acronis for the official start of Acronis’ 15-year anniversary celebration this week. 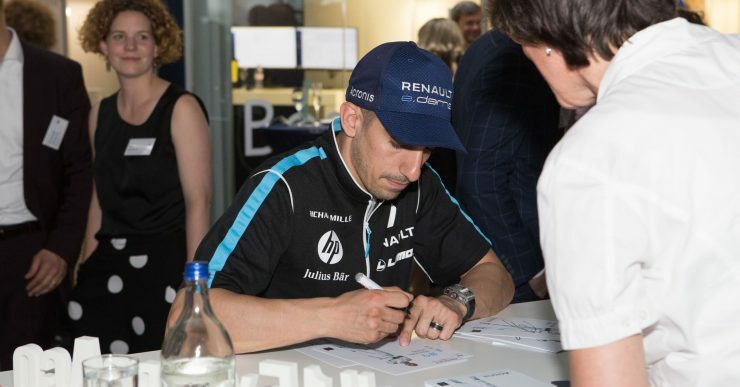 Greeted by more than 200 guests and motorsport fans, Sebastian talked about his Formula E experience and the importance of data. 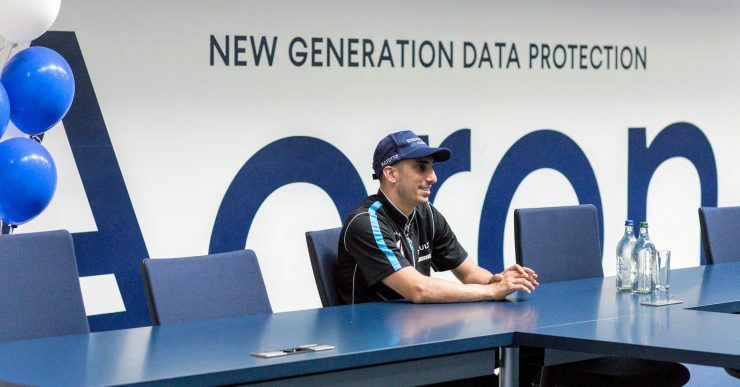 He also said that he’s looking forward to racing in front of his home crowd at Zurich on Sunday — a momentous occasion, because it will be the first motorsport race in the country in more than 60 years! 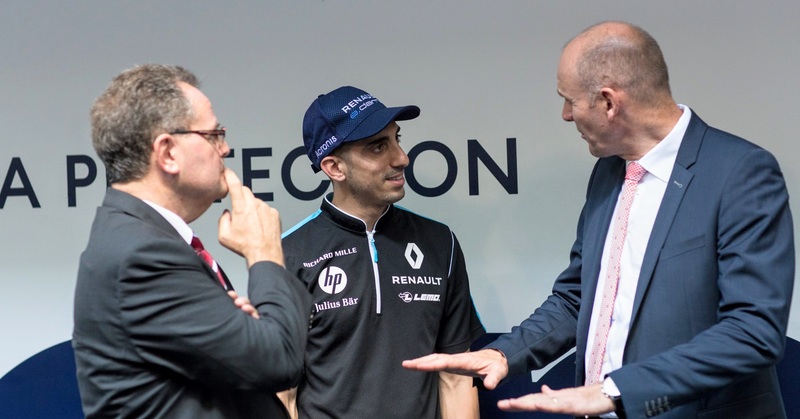 But it wasn’t all business. 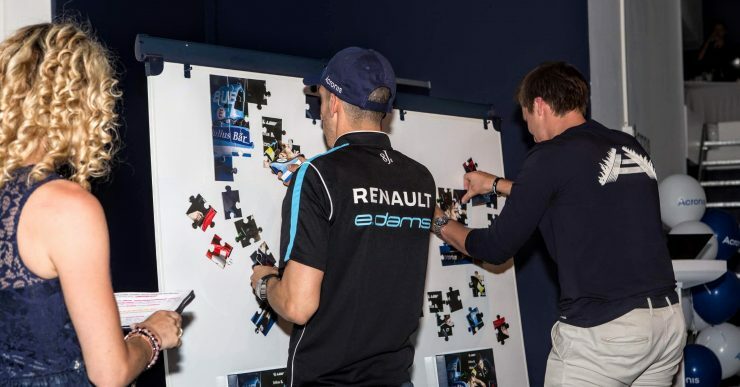 There were puzzles, cowbell band, and lots of Swiss chocolate! 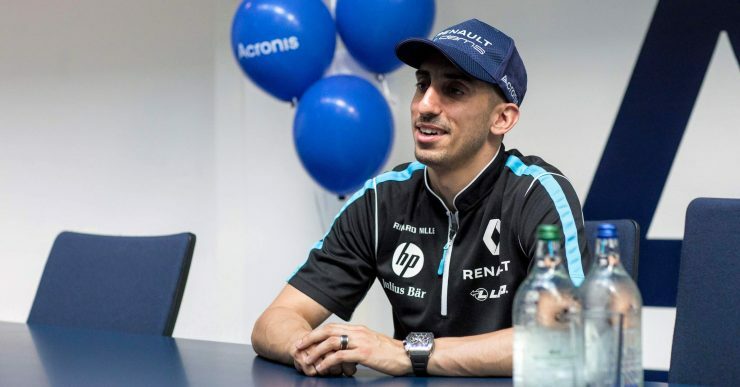 Sebastien Buemi of Formula E Renault e.dams, Acronis’ 15-year anniversary in Schaffhausen, Switzerland. 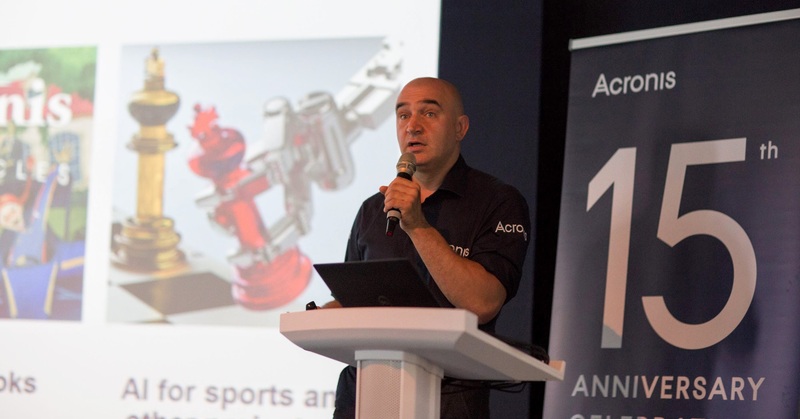 Founder and CEO of Acronis, SB (Serguei Beloussov), at the company’s 15-year anniversary celebration, Schaffhausen, Switzerland. 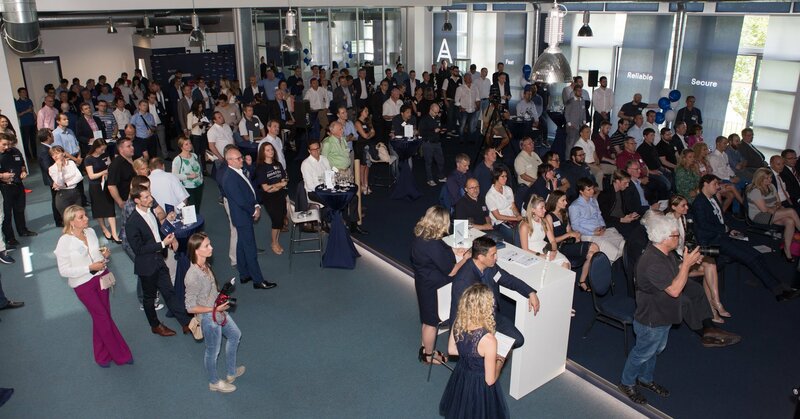 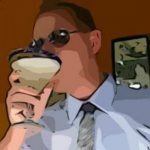 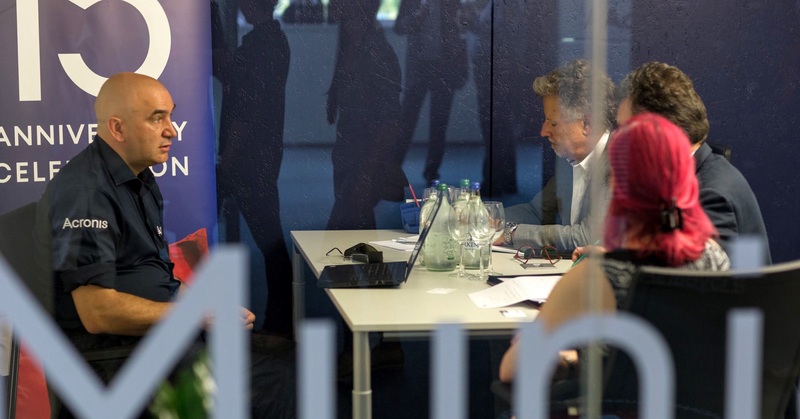 Interviews with the founder and CEO of Acronis, SB (Serguei Beloussov), at the company’s 15-year anniversary celebration, Schaffhausen, Switzerland. Acronis’ 15-year anniversary in Schaffhausen, Switzerland. 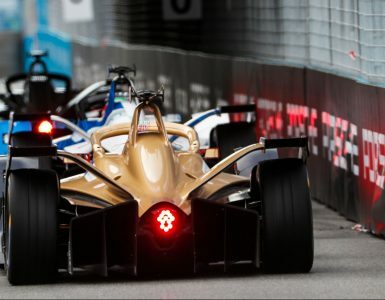 The Swiss gala was planned to coincide with the Formula E Zürich ePrix. 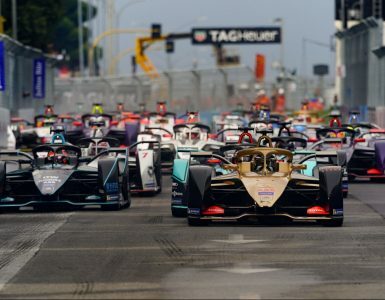 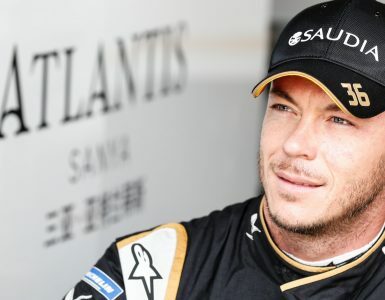 Given Acronis’ long-standing involvement with motorsports – including its partnership with the Renault e.dams Formula E team – it was a great opportunity to have team members among the specially invited guests, so they could talk about why data is so critical to motorsport, and how Acronis’ solutions are helping them compete on the track. Motorsport teams use Acronis technology to protect data, giving teams a competitive advantage. 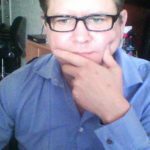 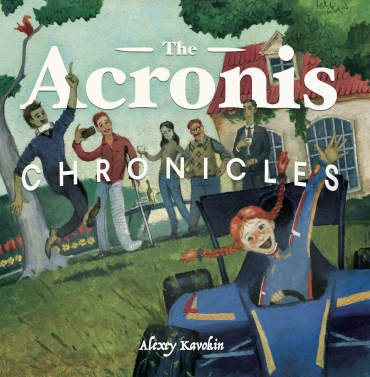 “Today we are celebrating 15 years of Acronis, which has been filled with innovation and market-leading solutions, providing exceptional cyber protection to millions of users worldwide,” concluded SB (Serguei Beloussov), Acronis co-founder and CEO.